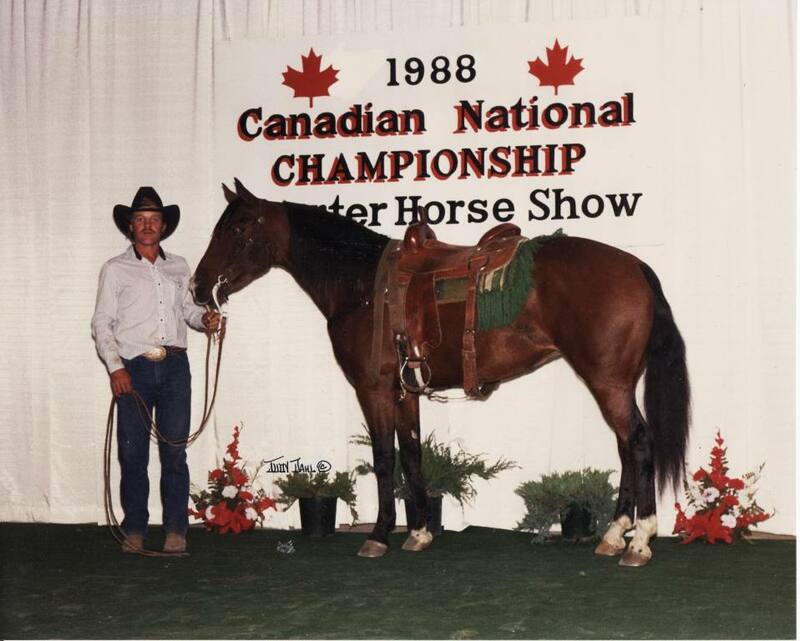 Born: April 19, 1976 in Fair Haven, Michigan, U.S.A.
Sire: Dry Doc - the 1971 NCHA Futurity Champion with total earnings of $99,782 in Cutting and offspring earnings of $3,900,960 in cutting. 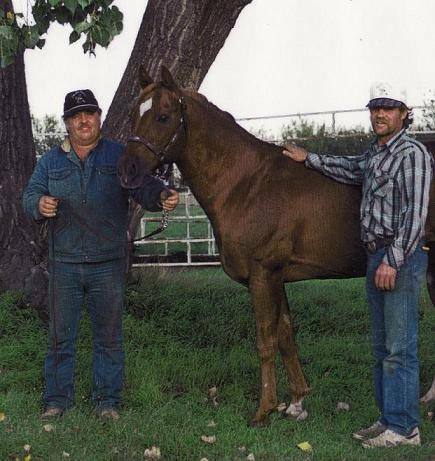 The legacy of Dry Doc Freedom began when Turner Brothers (Lloyd & David Turner) went in search for a stallion prospect. Their search ended in 1976 at Fair Haven Farms in Michigan which was the home of the Legendary Dry Doc. Turner Brothers purchased Dry Doc Freedom "Freedom" from M. L. Chartier as a weanling and brought him to his new home in Shamrock, SK. 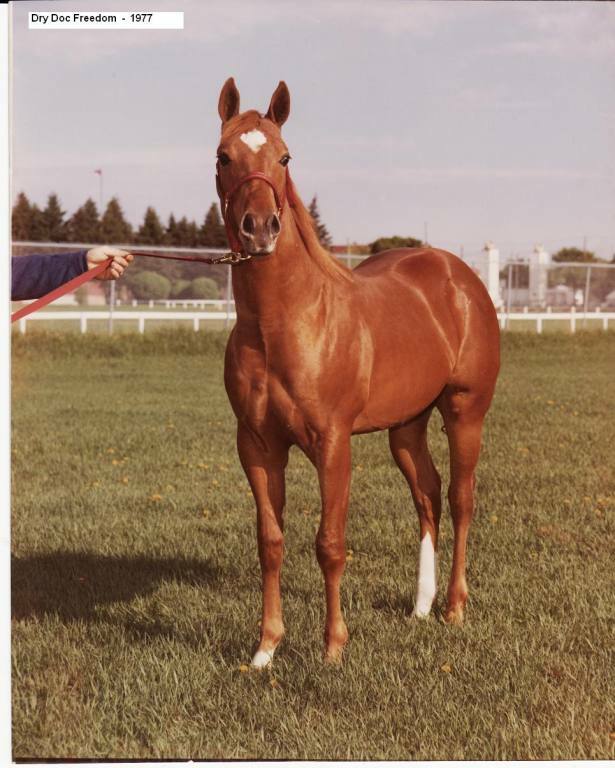 Canada as a yearling in 1977. Freedom instantly became a big part of the Turner family!
. . . and his legacy will carry on through the generations of his offspring. How Dry Doc Freedom got his name: 1976 marked the 200th Anniversary of the U.S.A. and that year M.L. Chartier named the first three foals born to Fair Haven Farms - Dry Doc Freedom, Dry Doc Liberty and Dry Doc Justice. DRY DOC FREEDOM's offspring have earned over $80,000.00 in NCHA and NRHA. As a Grandsire DRY DOC FREEDOM's Grandbabies have earned 169 AQHA points, $35,092.91 in NRHA, $11,577.40 in NRCHA and $6,948.32 in NCHA. 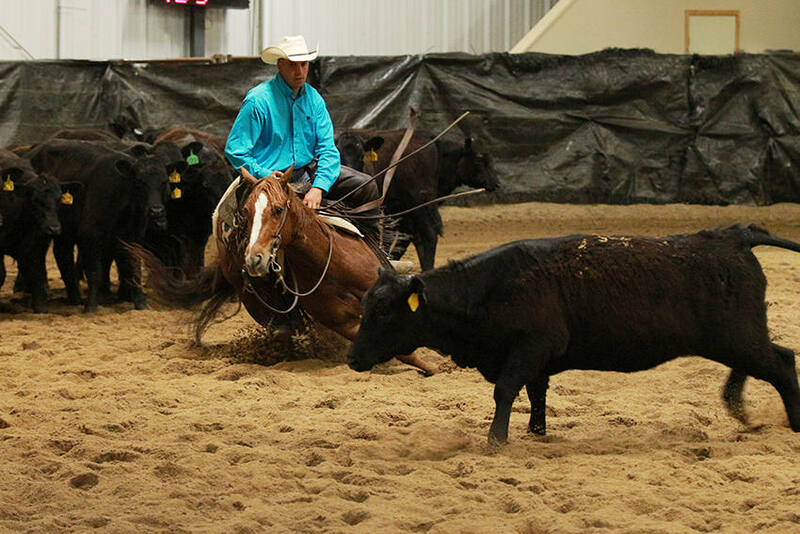 she earned over $4,500 in the Cutting pen and a NCHA Certificate of Ability. Her riders included Open Riders, Non Pro Riders and Youth (high school rodeo). 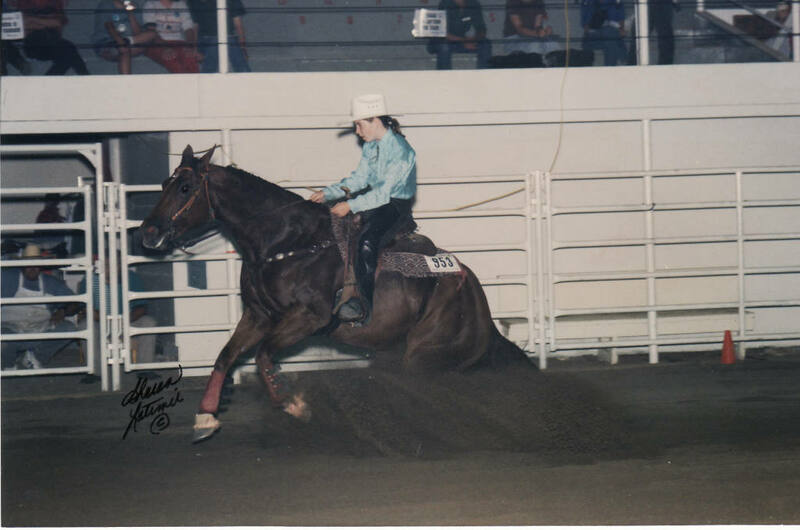 We called this mare Jo-Jo (now deceased), throughout her show career she was shown by Open Trainer Bonnie Becker, Non Pros Lloyd and Jan Turner and Youths Jolyn Knox and Chelsea. 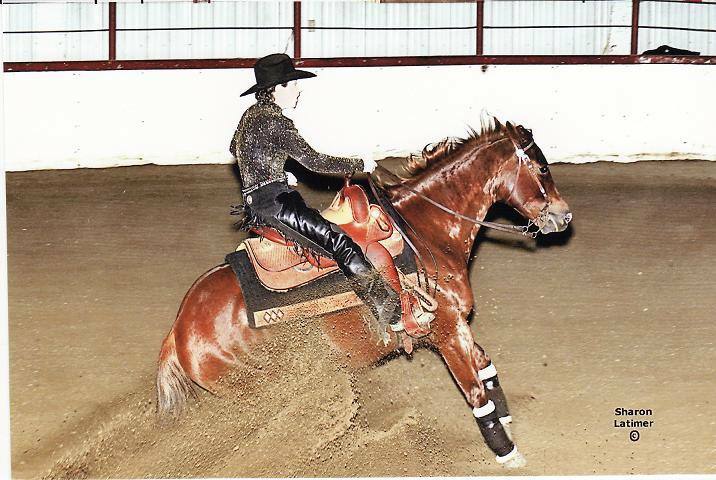 This mare was not only a show horse but we used her to check cattle on the ranch and later in life Chelsea Barrel Raced her at the High School Rodeos. She was also the Dam of Hankins Dry Steel and Jacs Dry Steel (see home page).